I'm being strangely prolific today. 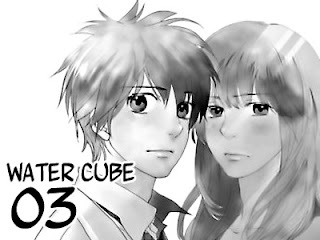 Water Cube, for those of you who don't know, is the Japanese reboot of the popular Korean webtoon "My Heart is Beating." It's exactly the same story, just different names, and in manga format instead of webtoon format. I enjoy this version, so I hope you do too.